These sterling silver crimp hook and eye clasps are ingenious! 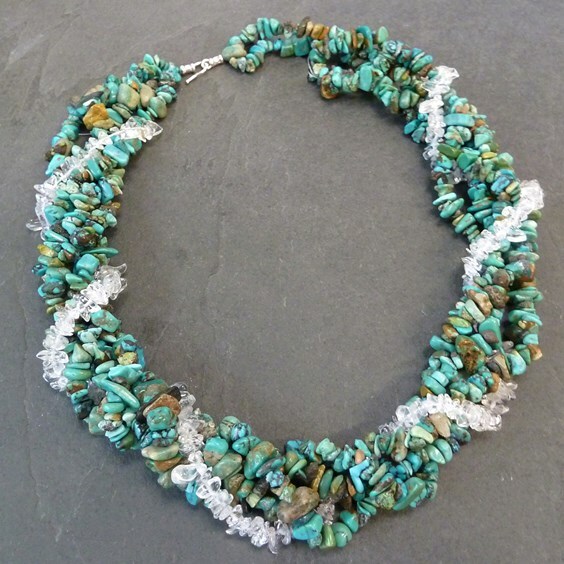 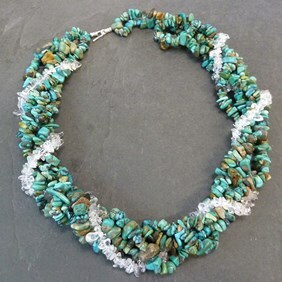 They are so easy to use and completely negate the need for fiddly necklet-end findings. They are used by simply inserting your thread and gently squeezing the central band of the crimp part with snipe nose pliers to grip it firmly. 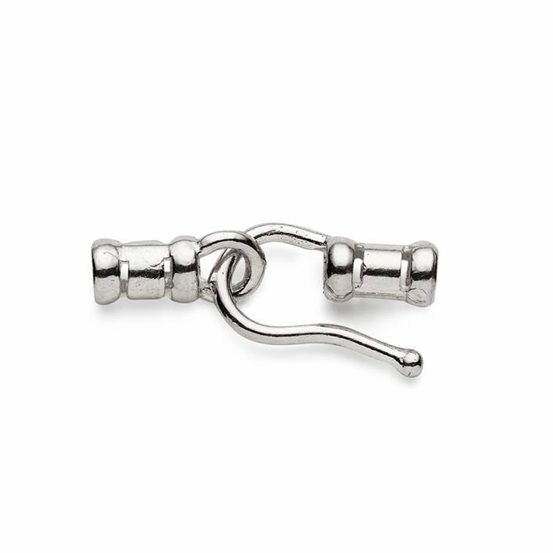 There is no need to even add a clasp as the hook part simply slips through the loop to fasten. Such a simple but clever idea! 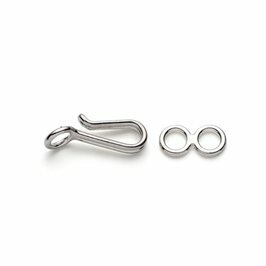 The hook end measures 10mm and the loop part is 8mm. 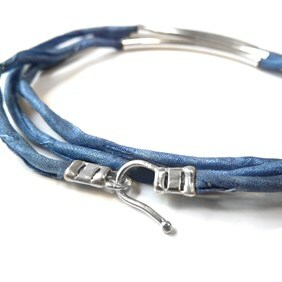 These can be used with threads up to 1.5mm in diameter so they will even take thinner cotton or leather cords.